This single level home in a great neighborhood welcomes you with a covered porch. Open kitchen with a dining nook. Great room has vaulted ceilings that make the home feel larger than its square footage. Both baths have skylights to bring in the natural light. The fenced backyard is private and has a hot tub, garden shed and mature trees. Front and rear sprinklers and central air conditioning make this the perfect home! Interior Features: Walk in Closet, Washer/Dryer, Master Ground Level, WiFi CO Monitor, WiFi Smoke Det. Listing provided courtesy of Coldwell Banker Morris Real Es. I was searching for a Property and found this listing (MLS #201902491). 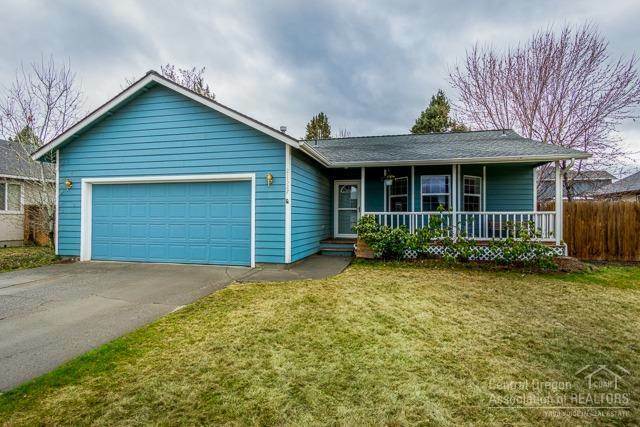 I would like to schedule a showing for 21327 Starling Drive Bend, OR 97701. Thank you! I was searching for a Property and found this listing (MLS #201902491). Please send me more information regarding 21327 Starling Drive Bend, OR 97701. Thank you!